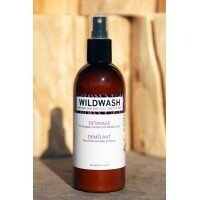 WildWash pH balanced natural dog perfume Fragrance No.1 with Ylang Ylang and Magnolia. 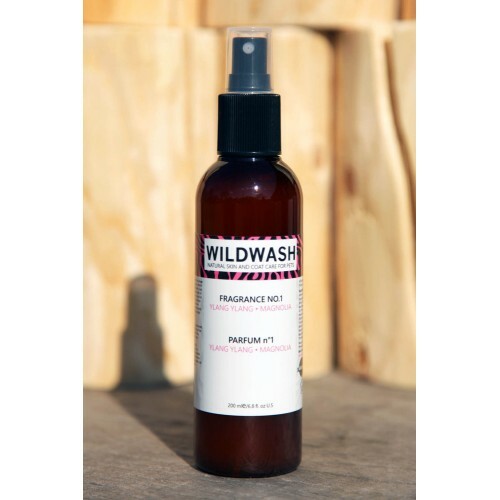 Wildwash is a new concept in animal care and gives you a range of natural pH balanced fragrances to keep your pet smelling fresh, clean and delicious all day long. 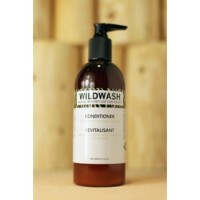 Just like human skin and hair, a dog’s skin and coat responds better when a natural product is used. A natural dog perfume helps to promote a healthy, hydrated skin and coat, whereas perfumes containing chemicals can cause dry itchy, scaly skin. 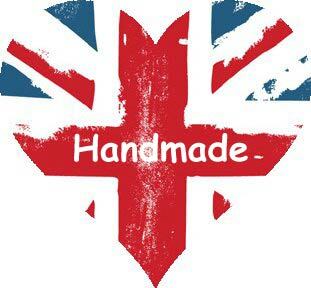 The products are Made in England and contain absolutely NO Parabens, Phthalates, Phosphates, Sulfates, Petrochemicals, Synthetic or Semi Synthetic Fragrances or PEG’s. All their products are made by hand using selected human grade ingredients to enhance the function of each particular product. Fragrance No.2 Perfume is formulated entirely from plants and botanicals so can be used as frequently as liked and includes Grapefruit, Bergamot and Ginger. 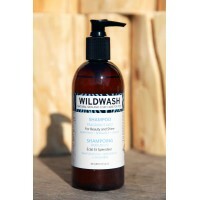 As you can imagine all these wonderful natural ingredients and essential oils generate an absolutely heavenly fragrance. One element that is essential to all of their range and the key to the absolute quality of the end result is the methodology whereby each and every product is hand made in such a precise and sensitive manner to preserve the optimum condition of every natural ingredient. They do not use Parfum in our products; nor do they use synthetically made essential oils or synthetic fragrances of any kind. Driven by a beautiful aroma from Essential Oils, they are crafted in a way that perfumes were created a thousand years ago. They do not use ‘extracts’ or ‘infusions’. 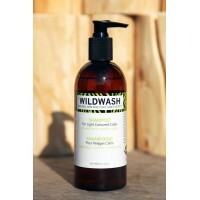 Only 100% Pure Essential Oils our used in our products at a concentration of 1.5%. At this high concentration the Pure Essential Oils do not only add a delicious aroma they add efficacy to the function of the particular shampoo in which they are contained. In other words, they help it to work. Their amazing perfumer recognised as one of the top ten natural perfumers in the world has created the most complex and beautiful scents to compliment and enhance each particular shampoo and fragrance. They have then ensured their formula is correctly pH balanced to suit your pets’ sensitive skin.